It was foolish of me to plant mint in one of the raised beds in my vegetable garden years ago. Mint was born to be wild. It refuses to stay boxed in. Every summer it seems to discover a new escape route — digging underground to pop up in the middle of the marjoram patch or making a bold public grab for purple sage territory. And I have to pull it out by the roots — a thick leggy network that always puts up quite a fight. But the smell that fills the air — that burst of pure freshness — is almost worth the struggle in itself. 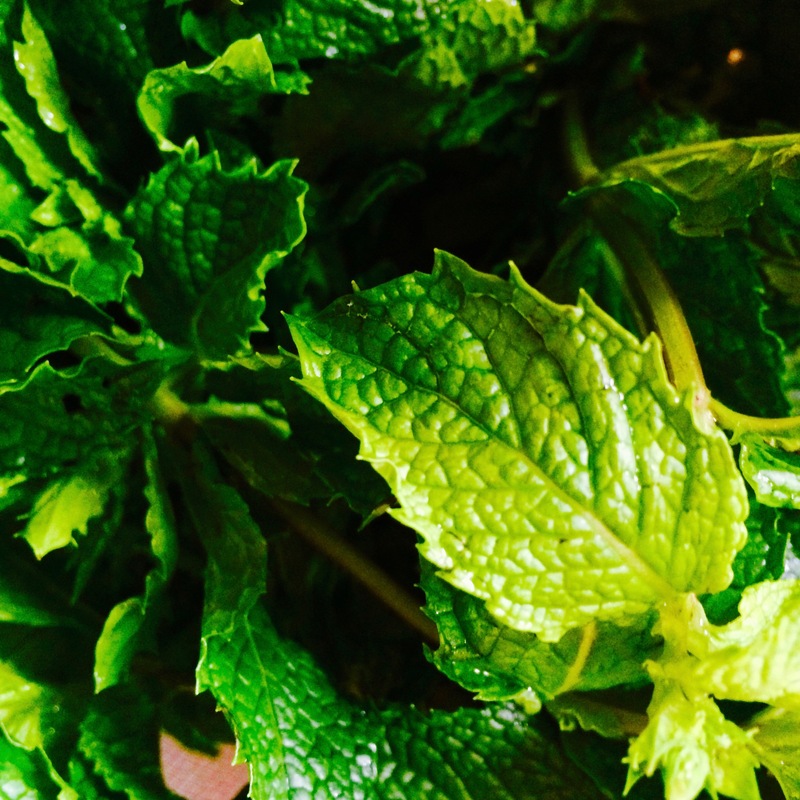 And then there’s the happy dilemma of what to do with handfuls of fresh mint. Luckily, we had a lot people to feed this weekend and had to double the recipe for watermelon, tomato, feta, and fresh mint salad. We drank gallons of Mint Sun Tea. And we made what’s become my favorite summer potato salad because of its unusual medley of tangy flavors: lemon, mint, and scallion. Here’s the recipe, followed by a poem that also features mint as a main ingredient. Transfer hot potatoes to a large bowl and toss with dressing, scallions, mint and black pepper. Let cool to room temperature, or refrigerate until ready to use. Just before serving, top with additional lemon juice, scallions, mint and black pepper. Love this. Beautiful poem and a new one to me. Thank you, Cheryl. I hope your garden is thriving this year! Mint. Mint. Mint!!! Same in our garden, it takes over everything. Even in dry California. But oh what fun it is to rip it out, smell that smell, and drink that tea. And that was a lovely poem! I, too, planted mint (not contained in a pot) to keep the deer away from my black-eyed Susans and day lilies. So I do have some flowers this year, but oh my, how it does spread. Thank you for the recipe, I am going to try it. Enjoy your posts. Doris — I didn’t realize that it warded off deer. What a great tip! I’m going to start putting some of my mint to work! So good to hear from you. Thanks for this lovely post, and a great weekend. Love, =p. Thank you Liza for this wonderfully minty post. How lucky we are to have tasted all those mint infused items. The poem reminds me what an ancient spice mint is. Gold, frankincense, myrrh, and mint! Thanks, Lorraine — give the potatoes a try. They’re easy and delicious! And how do you make Mint Sun Tea? Take a big glass jar with a lid — I use a quart wide-mouth Ball pickle jar — put in 5 or 6 tea bags and a few springs of fresh mint, fill it with warm tap water, and then leave it out in the sun for an hour or two. Presto! Hope you’re having a great summer, Jackie! I feel the very same way about mint, now taking over the plot outside my kitchen door….and wild in another field nearby. Not a wild soul however in smell or effect on lamb chops, peas or potatoes…. Thanks, Amy. You’re right — mint has a taming quality despite it’s own unruly soul. Nice to hear from you! Great, all of it! Can’t want to try potato salad and the poem reminds me (Wow! ) of my (young and naive, admittedly) sense of the Middle East, many years ago. Thank you for all. When I get my hands on mint I also use a little in zucchini, eggplant, and chick peas. 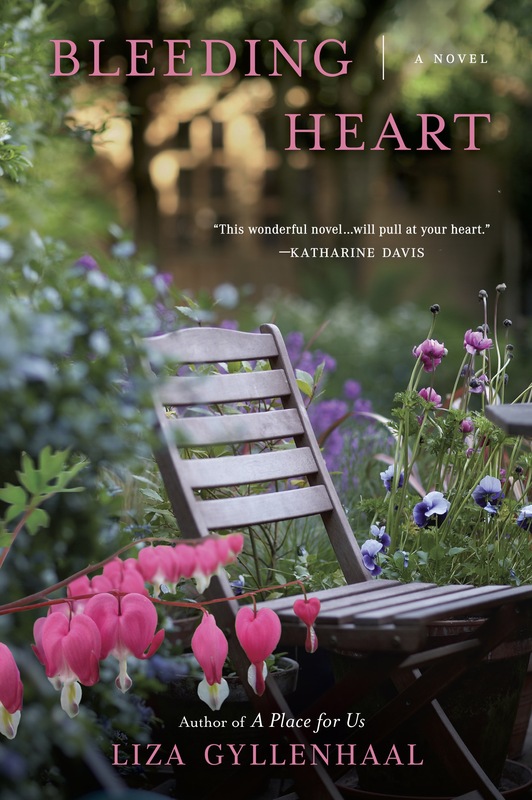 Just have to ask….Are you Elizabeth Bennett that wrote Changes of Heart. Loved that book and looked for others by the same author years later, but it was like she dropped off the face of the earth.